Let L & D Mail Masters relieve your stress by taking care of your printing and mailing needs. Regulatory communications made simple for you with L & D Mail Masters’ Mail Run-Data File (MRDF) process. Statements are professionally printed, designed and delivered in a secure environment for your most data-sensitive documents with our SOC 2 Type II certification. Our SOC 2 Type II certification ensures your statements are handled with the utmost security, availability, processing integrity, confidentiality and privacy. Yearly, we are audited by an independent auditing process to maintain our SOC 2 Type II accreditation. This means we provide customers with the same data security as companies like Amazon and Google. We know you are busy. 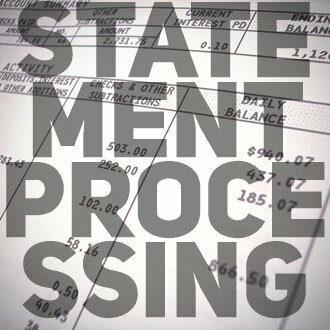 Our statement processing allows you to avoid time-consuming folding, stuffing and stamping of statements. Call today to discuss how we can streamline your statement processing!